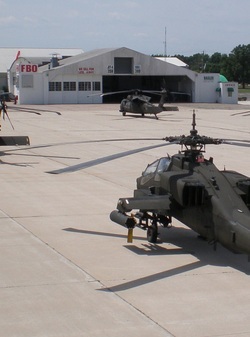 All parking of military aircraft is coordinated by the EAA. You must contact EAA Headquarters at 920-426-6540 prior to the EAA AirVenture. NO military aircraft will be parked on the Basler Ramp during the dates of July 20 - July 28, 2019.